Daughter and disciple of Odissi maestro Guru Harekrishna Behera, Kavita Dwibedi is one of the leading exponents of Odissi dance in India today. She is a Post Graduate in Sociology from Delhi University and holds Visharad (B.A) in Odissi dance from Gandharva Mahavidyalay. A dancer of vision and versatility, Kavita is known for her superb abhinaya. A widely travelled danseuse, Kavita had a highly successful Indian Council For Cultural Relations (ICCR) sponsored performance tour to the U.K., Italy, Sweden, Finland, Latvia, Estonia, Denmark, Ireland and Norway during the 50th anniversary celebrations of India's independence in 1997. The artiste has also earned wide acclaim for her performances at some of the world’s highly prestigious platforms in countries like the U.S.A. and Canada and including her presentation at the UN Headquarters at New York . She has also taken part in international events in Spain (1991), China (1994), Japan (1994), Kuwait(1995), Maldives (1995), Kyrgyzstan(1998), Germany (1999) and France (1999). In her professional career spanning over ten years, Kavita Dwibedi has also had the privilege of presenting Odissi dance recitals in almost all the major dance festivals in the country like the Khajuraho Dance Festival (1996), Konark Music and Dance Festival (1992,1995), Natyanjali Dance Festival(1997), Soorya Dance Festival (1994,1998), Mamallapuram Dance Festival (1994-97), Malabar- Mahotsavam (1996), Tansen Tyagraj Festival (1997), Sidharth Music and Dance Festival (1998) and Puri-Beach Dance Festival (1996). She had also been invited to participate in the festival of Odissi dance Nrutya Parva (1998) to mark the 50 years of Odissi organised by the Sangeet Natak Akademi at Bhubaneswar. 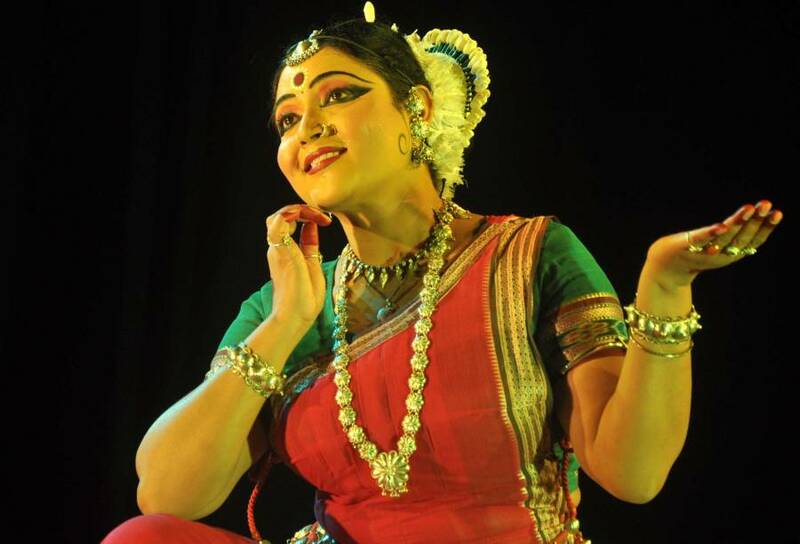 A dancer of deep commitment towards an undiluted and authentic approach to Odissi, Kavita is credited with a number of new choreographies based on traditional chhanda music of Orissa like the much lauded Ritu – Rang (Seasons of Love) and Proshitapatika (Naayika longing for her beloved Naayak). Her other landmarks in choreography are Saptatala Dhyaan, Khajuraho Vaibhav and Jugalbandis with Manipuri, Bharatanatyam and Kathak . She was awarded a Junior Fellowship by the Department Of Culture, Government of India in 1997. She was also a recepient of a Government of India Scholarship in the field of Music & Dance from the Ministry of Human Resource Development for the period 1990-92.A winner of several awards and medals, Kavita Dwibedi is the founder Director of Odissi Akademi, Delhi -- an Institution set up by her to promote and propagate Odissi dance and music.